We had to switch power providers soon, so I started reviewing the options. There are heaps of providers in New Zealand and each offer a ton of different plans. Some offer welcome bonus or credit worth up to $ 200. Other offer straight forward rates. Some others offer discount if you sign up for both electricity and gas with them. So how do you decide which one is better for you? The result is awesome. I ended up saving more than $1000 with a simple model. Puzzled? Curious? Check out this short but powerful video tut. 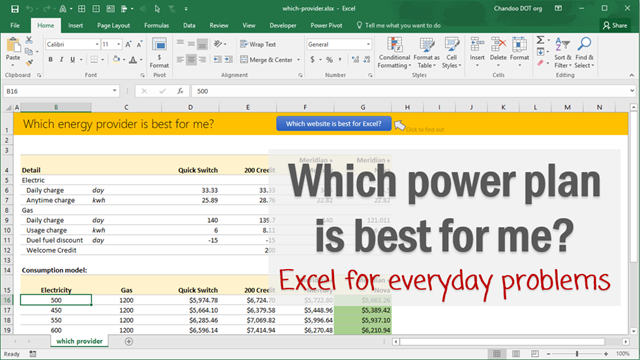 Last week, I asked you to share an analysis problem that you couldn’t solve in Excel. We got quite a few very interesting problems in comments and email. 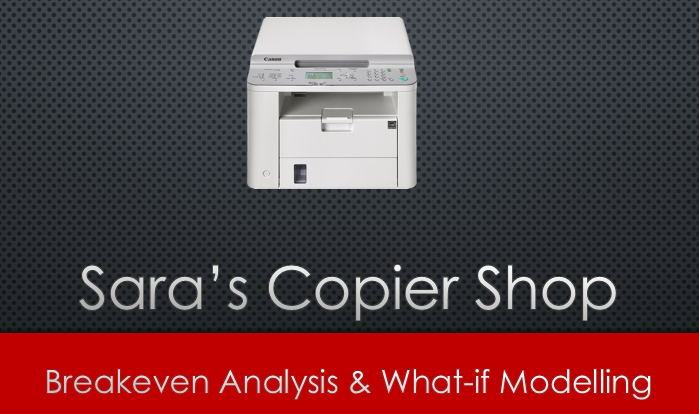 In this post, let me explain how to solve Sara’s copy shop problem using Excel. What is Sara’s copy shop problem? Thanks to Caroline who posted this problem. Sara wants to open a copy shop. Each copier costs $5,000 per year to lease. The rent & other fixed costs per month are $300. There is a $0.02 variable cost per copy. Each copier can print up to 100,000 copies per year. She plans to charge $0.11 per copy from her customers. Sara estimates that the demand can be any of the 4 values – 500, 1000, 1500 or 2000 copies per day. This article is written by Michael Hutchens from Best Practice Modelling. In the first article on Modular Spreadsheet Development, we got a high level overview of Modular Spreadsheet Development principles. 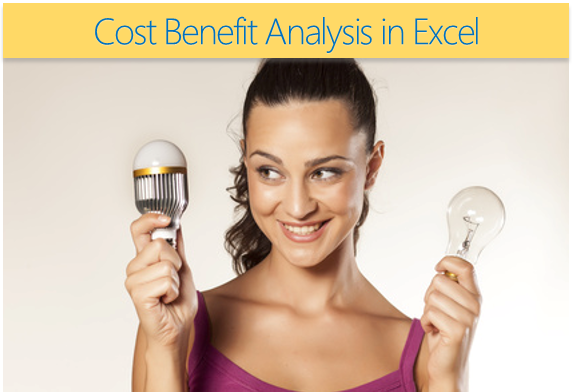 This article discusses the practical implementation of these principles in Excel. This article provides a comprehensive overview of each of these methods and a summary of their advantages and disadvantages. This article provides a high level overview of Modular Spreadsheet Development principles. In next part the implementation of these concepts will be discussed. 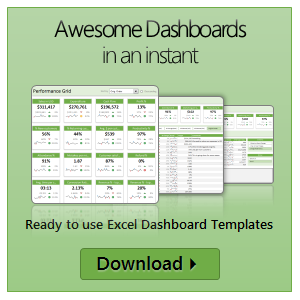 I want to share a concept with you so awesome that once you understand it you may never use Excel the same way again. This concept, called Modular Spreadsheet Development, makes it possible to build spreadsheets exponentially faster while reducing the risk of errors and making spreadsheets much easier to understand. This concept is not completely new, but I’m writing this article because the spreadsheet modelling world would be a much better place if it was more commonly adopted. Lets talk about how we can use Excel to calculate Compounded Annual Growth Rate (CAGR for short). What is CAGR? What does it signify? Now, if you see the growth rates, they are all over the place. Right from -16.67% to 28%. But you want to report a single annual growth rate. This is where CAGR (Compounded Annual Growth Rate) comes handy. 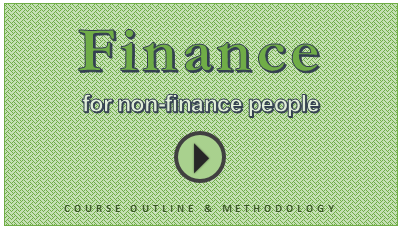 I am very glad to announce that our brand new online course – “Finance for non-finance people” is now available for your consideration. Please take a few minutes to read this short message to understand what this program is & how it benefits you. If you are ready to join, please click here. What is Finance for Non-finance people course? This course aims to teach financial fundamentals & introduce you to the world financial analysis in a no-nonsense way. We start by introducing financial analysis and the basic jargon. Then we talk about 3 important components of any company’s finances – Balance Sheet, Income Statement & Cash flow Statement. Then we discuss about various analytical techniques like ratio analysis, valuation mechanisms, break-even analysis. Finally we explain advanced accounting concepts like long-lived assets, depreciation, explore trend analysis and unit economics. In a nut-shell, this course takes someone with no finance background and makes them proficient in world of finance. Dressing Financial Statements – What Motivated Mr. Bean to Defraud Latte? Did you know What Happened at Last Coffee Day? Mr. Bean “dressed up” the financial statements and was caught in the fraud. But he was the CEO of Latte! So why did he commit fraud in his own company?? Take a cappuccino and I will give you a hint – How was Mr. Bean’s Bonus to be decided? In the first part on our Modeling Best Practices series, we learned 5 best practices to follow. This article shows how to automatically implement the best practices using macros. Financial Ratios – Cappuccino or Latte? A Quick Question for you! It may seem obvious that Latte is performing better (Higher the revenue, the better the performance!). Sometimes a single source of data does not speak the full story! Our guest author, Myles Arnott discusses what Best Practice Modeling is and offers 5 practical, easy to implement tips to get you started. How was your weekend? We had lovely weather. So spent most of the time playing with kids, running some errands & relaxing. I just want to give you a quick update about our Financial Modeling School. 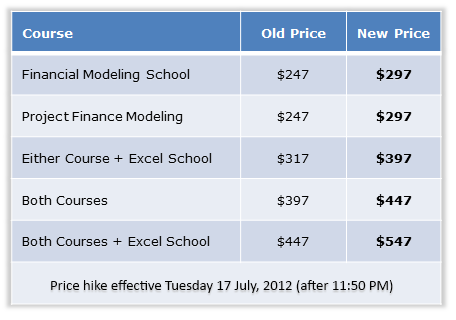 We will be hiking course fees for this program starting tomorrow midnight (Tuesday, 17 July – 11:50 Pacific Time). If you have been considering to join this program, please go ahead and enroll now to save money. Click here for course details & Sign-up instructions. I have a quick announcement to make. 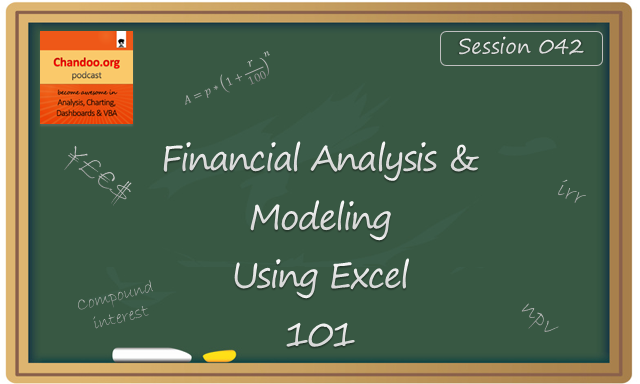 As you know, we run 2 online courses on Financial Modeling. After running them for almost 2 years, we are now planning to hike the fees by $50. See below table to know about new fees. So what’s the cash with Facebook? 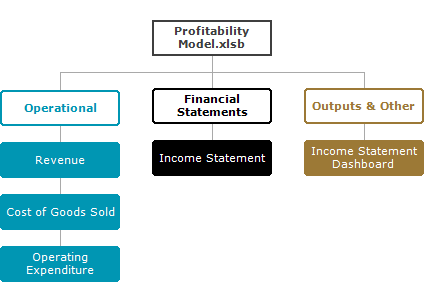 Last time, we announced the launch of a new module on getting the cash flow statement in our financial modelling course and also discussed the procedure to create the cash flow statement. I had shared with you the template for financial statements for Facebook. I had asked you to implement the steps and create the cash flow model for Facebook! We know that the devil is in the details. Last time we discussed the process and in this post, we would implement the cash flow statement for Facebook using the indirect method.